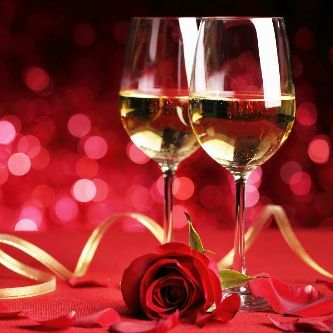 Valentine’s Day is the most romantic day of the year for couples everywhere and here at the Adamson, we have the ideal setting for you and your loved one to celebrate the occasion. We have designed a special Veuve Cliquot sharing menu for the evening where you can enjoy king prawn & chorizo: pepper & hazelnut romesco, chateaubriand 500g: green beans, creamed spinach, watercress salad & mash/hand cuts chips & a choice of sauce & chocolate ganache: coco nib mousse, praline, salted caramel & vanilla ice cream. The meal with a glass of champagne is priced at £60 per person and at £85 per person for a bottle.